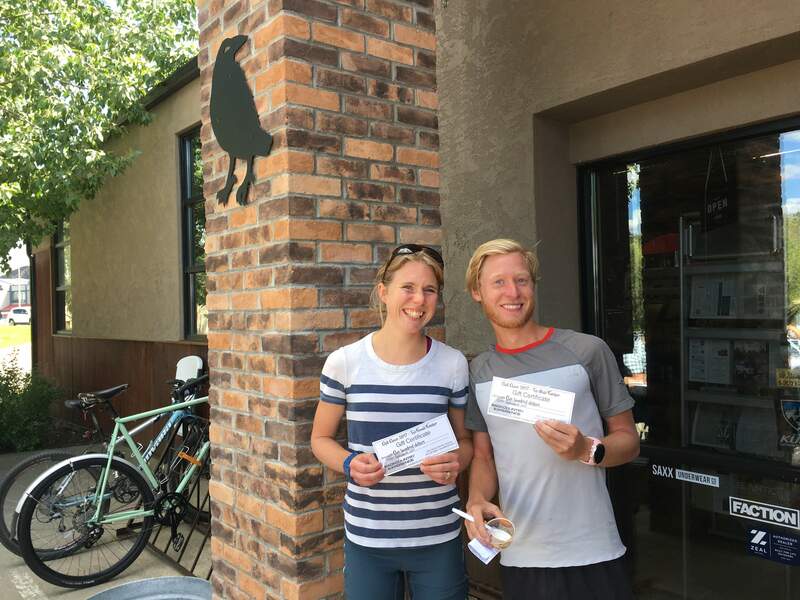 Imogen Ainsworth and Anthony Kunkel were the winners of the Chili Chase 5K Trail Run. The Overall Winner, Best Red, and People’s Choice awards at the seventh annual Chili Chase Friday went to Crow’s Closet for its Coconut Chicken Chili. The contest at Backcountry Experience featured 17 individual chilis, including a mix of red, green, vegetarian, lamb, pork and beef chilis, from 12 local businesses, restaurants and organizations. More than 80 people attended. The Best Green went to Bear Smart Durango. The winners of the Chili Chase 5K Trail Run were Imogen Ainsworth (with a time of 22.21) and Anthony Kunkel (with a time of 20.43). The run was through Overend Mountain Park.